Presenting at its annual developers conference Monday, Apple introduced the new iPhone 3G, which combines all the features of original iPhone with 3G networking, built-in GPS technology, and iPhone 2.0 software. In the US the new iPhone 3G will be priced at just $199 for the 8GB model and $299 for the 16GB model when it goes on sale July 11. The new touch-screen handset will also be available in more than 70 countries later this year, beginning with customer availability in 22 countries —Australia, Austria, Belgium, Canada, Denmark, Finland, France, Germany, Hong Kong, Ireland, Italy, Japan, Mexico, Netherlands, New Zealand, Norway, Portugal, Spain, Sweden, Switzerland, UK and the US —also on July 11. 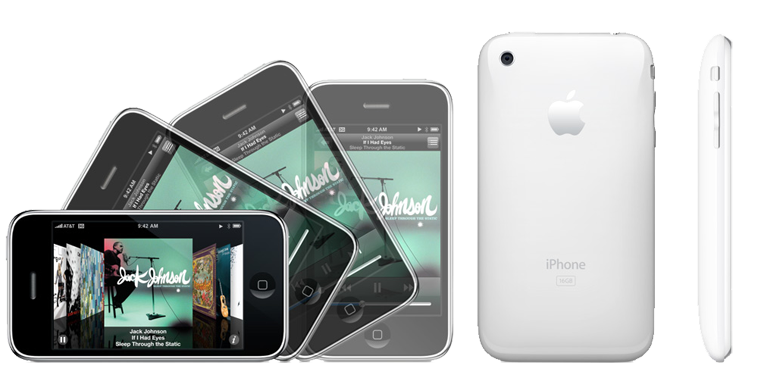 "Just one year after launching the iPhone, we're launching the new iPhone 3G that is twice as fast at half the price," said Apple chief executive Steve Jobs. "iPhone 3G supports Microsoft Exchange ActiveSync right out of the box, runs the incredible third party apps created with the iPhone SDK, and will be available in more than 70 countries around the world this year." iPhone 3G gives users ever faster access to the Internet and email over their cellular network with quad-band GSM and tri-band HSDPA for voice and data connectivity around the world. It supports Wi-Fi, 3G and EDGE networks and automatically switches between them to ensure the fastest possible download speeds. The new iPhone 3G also makes it easier to multi-task with simultaneous voice and data communications, so with iPhone 3G you can browse the web, get map directions, or check your email while you are on a call. Each iPhone 3G will include iPhone 2.0 software which includes the new App Store, providing users with native applications in a variety of categories including games, business, news, sports, health, reference and travel. The App Store on iPhone works over cellular networks and Wi-Fi, which means it is accessible from just about anywhere, so you can purchase and download applications wirelessly and start using them instantly. Some applications are even free and the App Store notifies you when application updates are available. The App Store will be available in 62 countries at launch, Apple said. 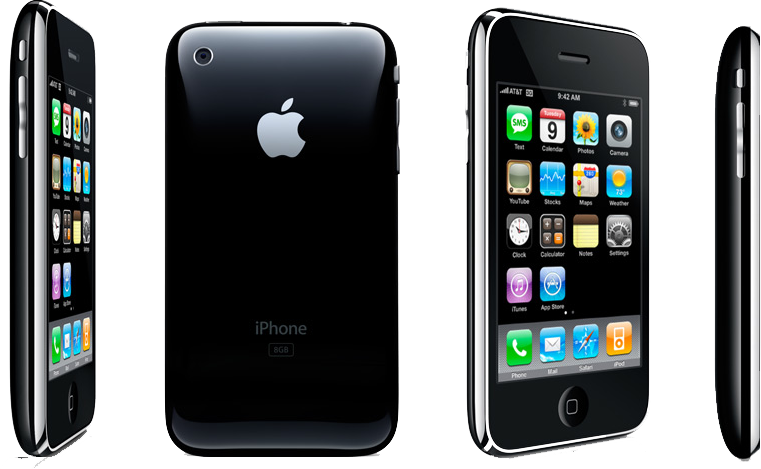 The 8GB iPhone 3G will retail for $199 and come only in black. In terms of battery life, iPhone 3G delivers 10 hours of talk time on 2G networks and 5 hours using 3G, with up to 5 to 6 hours of web browsing, up to 7 hours for video playback and up to 24 hours for audio playback. A 16GB iPhone 3G will retail for $299 and also come in white. iPhone 3G will also leverage MobileMe, a re-branded version of Apple's .Mac Internet service that pushes email, contacts, and calendars from an online "cloud" to native applications on iPhone, iPod touch, Macs and PCs. With MobileMe email, messages are pushed instantly to iPhone, removing the need to manually check email and wait for downloads, and push keeps contacts and calendars continuously up-to-date so changes made on one device are automatically updated on other devices. With iPhone, you can even snap a photo and post it directly to a MobileMe Gallery to share with friends and family. iPhone 3G will go on sale in the US on July 11 for a suggested retail price of $199 for the 8GB model and $299 for the 16GB model in both Apple and AT&T's retail stores. Prices factor in a new two year contract with AT&T for qualifying customers. The 8GB model is available only with a glossy black back while the 16GB model will available with a glossy white back (in addition to a black back). iPhone 2.0 software will also be available on July 11 as a free software update via iTunes 7.7 or later for all existing iPhone customers. The update will cost $9.95 for existing iPod touch owners.